GettyApple and Amazon were reportedly infiltrated by a Chinese cyberattack. Amazon and Apple were reportedly targeted by Chinese spies attempting to plant tiny microchips in their data centres. Chinese spies attempted to plant tiny microchips in the data centres of 30 major American companies, including Amazon and Apple, according to a Bloomberg investigation. 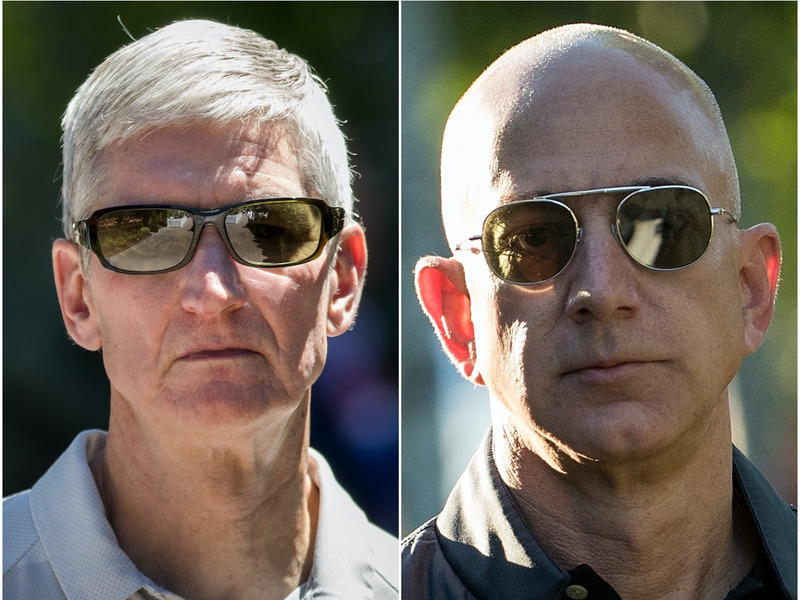 Apple and Amazon fired back at the explosive report linking them to a giant Chinese microchip hack. Both Apple and Amazon issued unusually robust on-the-record statements, disputing a Bloomberg report that Chinese spies planted microchips in hardware from supplier Super Micro. A leaked memo revealed Snap CEO Evan Spiegel plans to get profitable next year – and will make the Snapchat app way faster to get there. In an internal memo running over 6,500 words long, Spiegel admitted the company moved too fast in 2018 – specifically referring to the controversial Snapchat redesign. Facebook is battling an internal revolt after one of its execs went to the Kavanaugh hearing. Facebook employees are outraged after the company’s policy chief, Joel Kaplan, attended the Brett Kavanaugh hearing. A phone call from Mark Cuban reportedly convinced Elon Musk to make a deal with the SEC. Mark Cuban was apparently the voice of reason who persuaded Tesla CEO Elon Musk to settle with the Securities and Exchange Commission rather than fight the SEC and his board, according to The Wall Street Journal. Nintendo is reportedly planning to release a new Switch next year, the Wall Street Journal reports.The Nintendo Switch hit the shelves in March 2017, and while it has sold just under 20 million units, momentum has slowed. The US Department of Justice has levelled charges against seven Russian agents for involvement in cyber-plots. The DOJ alleges that targets included the global chemical weapons watchdog, anti-doping agencies, and a nuclear company. YouTube TV is rolling out a bunch of new features to woo cord cutters away from cable TV. On Thursday, YouTube TV introduced a host of new features that improve the user experience of the subscription streaming service and enhance its DVR capabilities. Bill Gates is backing an app that helps you keep track of the things your friends like. Gates has invested in an app called Likewise, which helps users get recommendations from people they know.